Members of the Kindersley Indoor Rodeo organizing committee show off a banner they received for being the Canadian Cowboys Association Rodeo of the Year for 2018. Left to right, Karen Klein, Glenda Hawken, Payton Walde, Kjerstin Cooper, Ashley Ritchie, Tyler Ritchie, Jennifer Chester, Dani Renaud, Sam Hawken and Anmanda Statnyk. 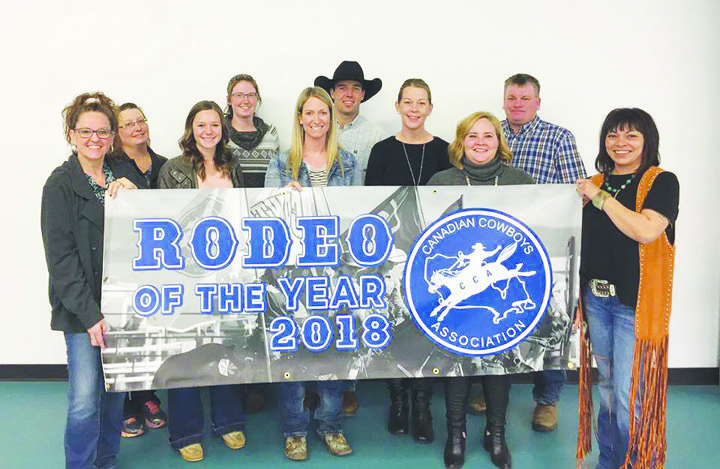 The Kindersley Indoor Rodeo committee is celebrating another nod as the 2018 Rodeo of the Year for the Canadian Cowboys Association (CCA). The Rodeo of the Year award is voted on each year by all competitors at the CCA Finals Rodeo. Even competitors in the junior competitions get a vote in the process. Kindersley’s rodeo was announced as the winner in October at the CCA Finals Rodeo held in Swift Current. According to a CCA official, the association picks five rodeos as finalists for the award and the Finals Rodeo competitors vote for one of the finalists. 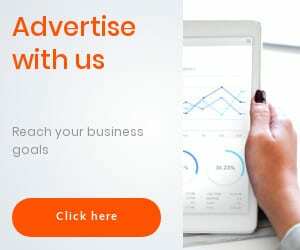 It is the third time in eight years the Kindersley Indoor Rodeo has won the award including back-to-back Rodeo of the Year nods in 2011 and 2012.